Gatlinburg shopping is a unique experience within itself! If you're into "yummy candies, cool stuff, and souvenirs, then this is the town for you! It's the place to find most everything you're looking for! For that "hard to buy for" person on your gift list there are items for sale here that you just won't find anywhere else. Gatlinburg shopping is like being on a Scavenger hunt! You find treasure here you never dreamed you would find anywhere else. One of Gatlinburg's most spiritual shops is God's Corner Christian Bookstore. This store is located in "The Village" and carries a wide variety of books, Bibles, covers, photos, jewelry, and more. It's locally owned and operated and offers a wonderful shopping experience. 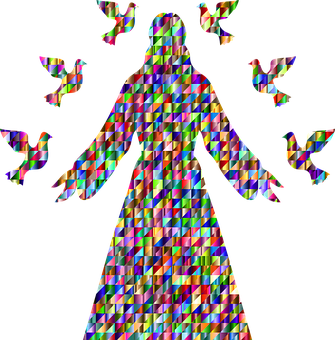 The place to shop for a lovely gift that is sure to warm the hearts of most anyone who receives it can most definitely be found in God's Corner! 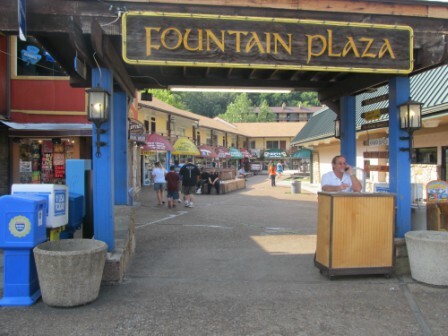 Gatlinburg shopping includes finding some of the world's most amazing arts and crafts! Beautiful artwork is available from one end of town to the other. Sometimes you can watch crafters as they work their magic! There's crafts made from whittling, beautiful paintings, and unusual crafts made right here from folks who live in these mountains. 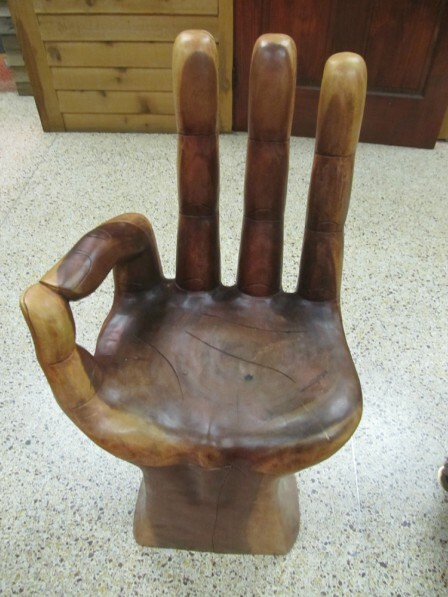 One of my strangest "finds" in shopping here was this cool "hand' chair. There is just no limit to what you may find! The Spirit of Gatlinburg comes alive the moment you walk through the doors! This shopping mall is filled with stylish clothing, art, leather goods, magic tricks, books, movies, music, and just about anything else you can think of! 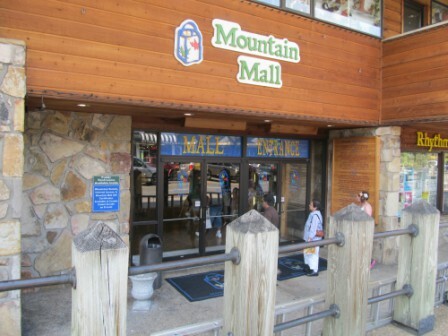 Your Gatlinburg shopping could last the entire day inside the Mountain Mall. Enjoy lots of historical displays as you move through the mall's three levels of stores. I scream, you scream, we all scream for.....Chocolate!!!? 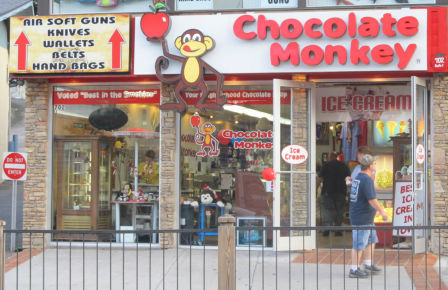 The Chocolate Monkey can set you up with some of the finest chocolate candies these mountains have to offer. Choose from a variety of wholesome chocolates that not only melts in your mouth, but has you coming back for more. One of the best things about shopping here is the free samples of fudge, cinnamon glazed nuts, and ice cream. Fountain Plaza may perhaps be described as walking into a hollow. It's filled with specialty shops. It's decorated beautifully during the area's fall festival, and during Christmas. During Gatlinburg's music festival, you can enjoy live music. There is also delicious "eats and treats: like pizza and funnel cakes. Whenever you shop Gatlinburg, you're sure to have a whole day filled with plenty of fun, excitement, and lots of good stuff! !